In a week of High Roller action, the latest event got underway today with ten levels of action in the PokerStars and Monte-Carlo©Casino EPT €25,000 High Roller. In total, it gathered 112 entries including 22 re-entries. 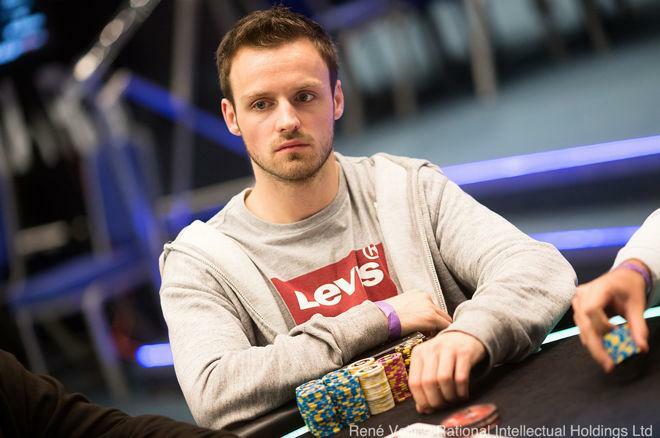 At the end of the ten levels it is Dutch player Wouter Beumers who is the overwhelming chip leader, having amassed 416,500 from the starting stack of 50,000. The nearest player to Beumers is Belarussian Mikalai Vaskaboinikau (315,500) who finished second in the PCA $25,000 High Roller, with Rainer Kempe not too far behind him. The German High Roller regular, who has $15 million in lifetime earnings, won the last hand of the night to clip the wings of Beumers (albeit not by much) and bag a respectable 268,000. Earlier in the day there were big names galore, as the four High Roller regular winners so far at EPT Monte Carlo joined the field. Juan Pardo, Sam Greenwood, Justin Bonomo and Steve O'Dwyer all jumped in, along with PSC Monte Carlo €25,000 High Roller winner and de facto defending champion Julian Stuer. 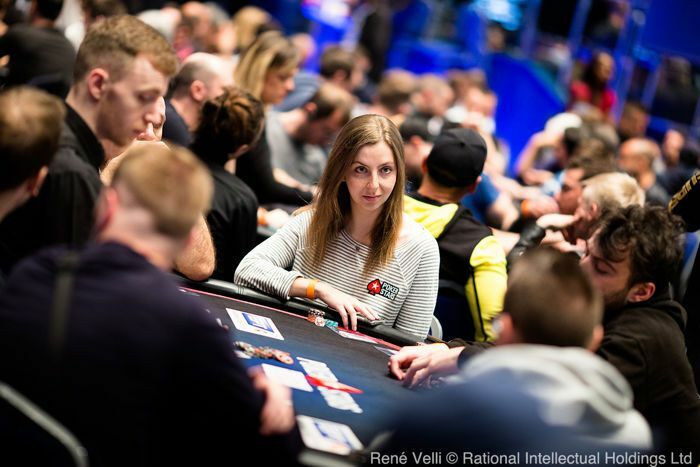 Alongside the familiar faces there were a couple of new ones; Maria Konnikova (pictured above) and Bruno Lopes aka French rap legend Kool Shen were making their €25,000 High Roller debuts, but Konnikova would bust in Level 4, after losing an earlier hand with ace-queen against the ace-king of [Removed:17]. Another early elimination was David Grieco, who min-cashed yesterdays €25,000 Single Day High Roller. After running pocket jacks into the aces of Beumers, he re-entered only to be eliminated almost immediately at the hands of Eric Sfez. 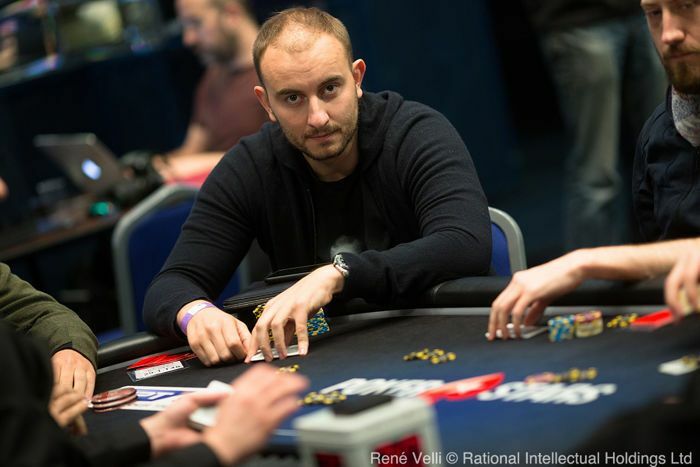 Among the early chip leaders was Albert Daher, and he would hold onto that chip lead until the dinner break, with Beumers breathing down his neck along with Jean-Noel Thorel, who had earlier eliminated €10,000 High Roller champion Pardo. With two levels to go, Daher had slipped back after a confrontation with Mustapha Kanit, and Beumers had grasped the initiative as the heads of state settled into their positions at the top of the chip counts. Beumers made trip nines against Lijo Lander to strengthen his position, and although Vaskaboinikau (pictured above) finished strongly, it was Beumers who holds the chip lead ahead of Day 2. The prize pool is already over €2.6 million and is expected to grow by the time play resumes Friday at 12:30 p.m. local time, with late registration and single re-entry open until the start of play. Stay up to date with all the action from the €25,000 High Roller right here on PokerNews.